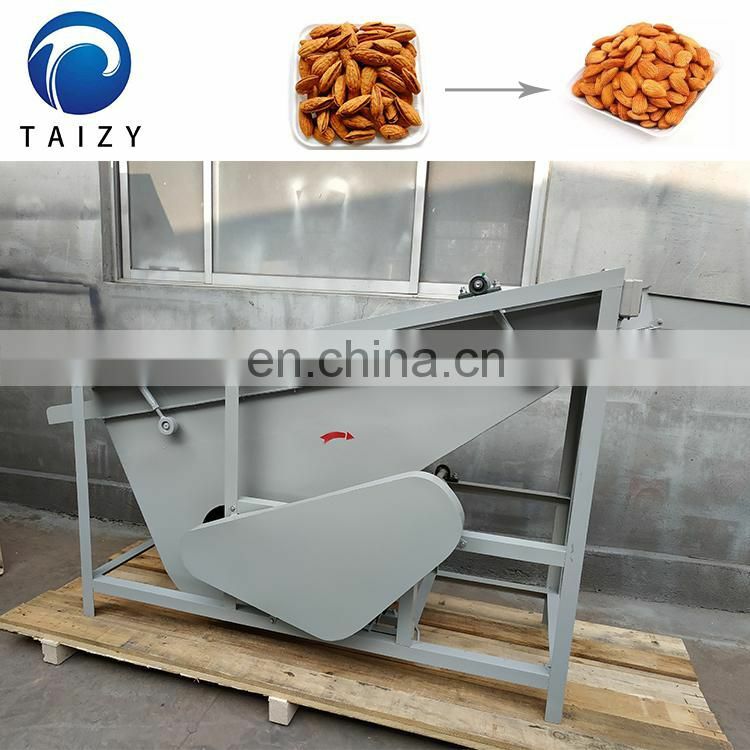 Taizy can provide semi-automatic and fully automatic peanuts and almonds slicing processing machine according to your needs.The usual capacity is 150kg/h ,300kg/h, 600kg/h,1000kg/h and so on . 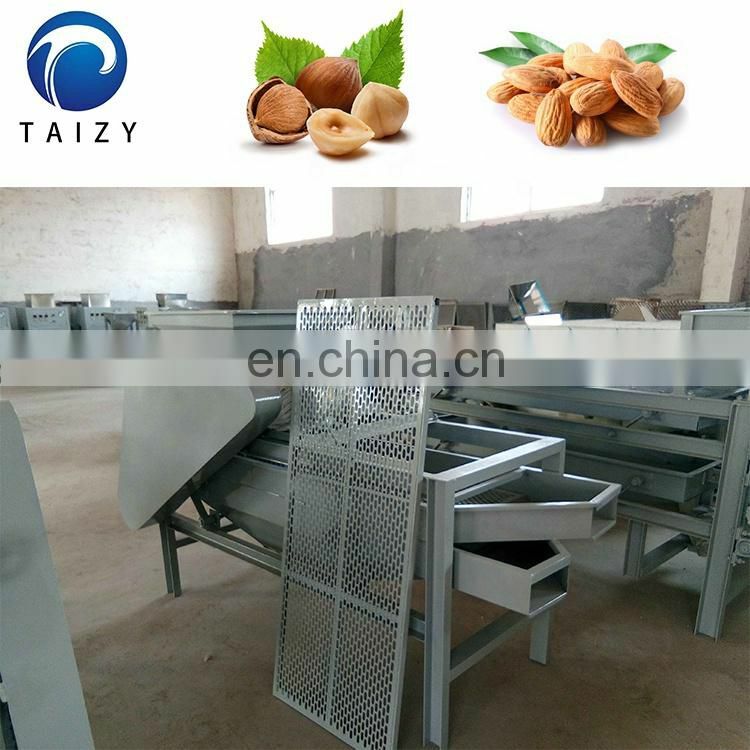 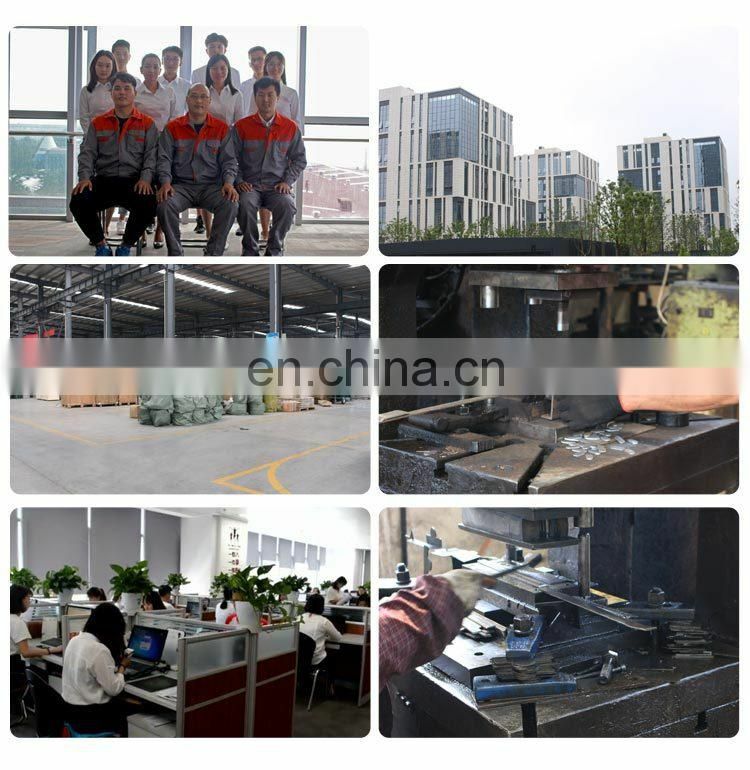 If you are interested in our peanuts and almonds processing machine,please tell us your capacity and your final product(nuts slice,nuts powder and other nuts process),we can provide suitable processing line for you. Almond shelling machine is a simple device for shelling apricot kernels. 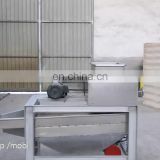 It has a single-stage shell and adjustable gap. 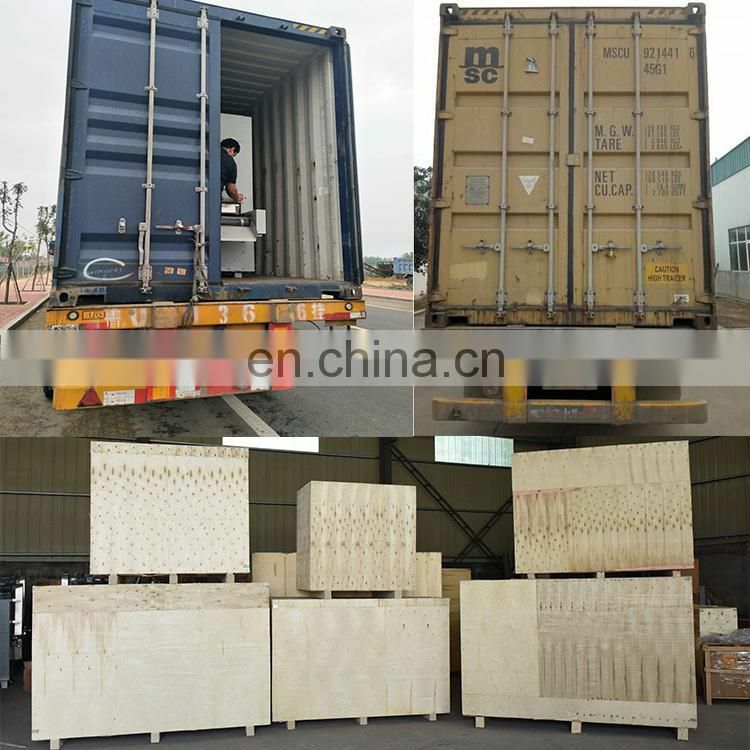 It is a single-stage shell. 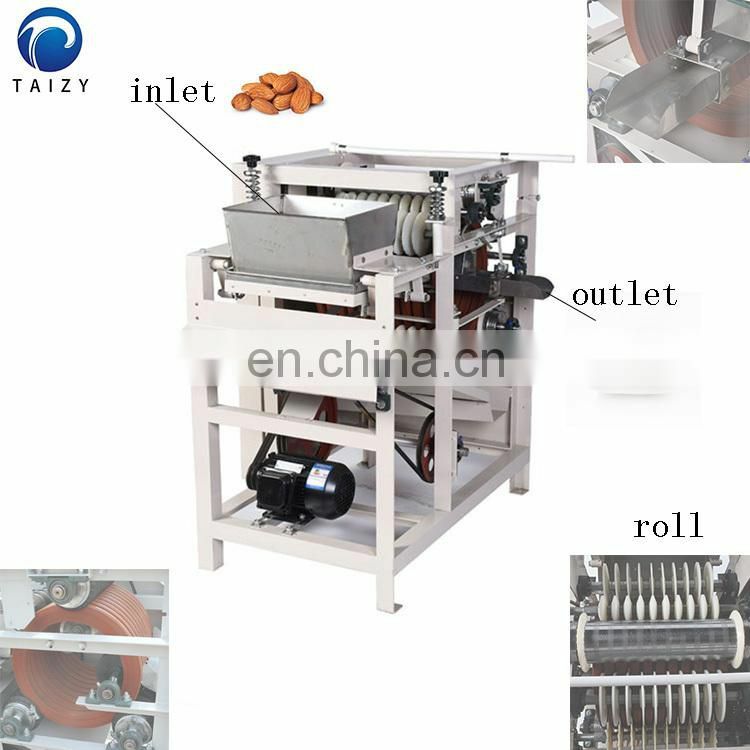 After the apricot kernel is poured into the machine and the shell is broken, there is a part of the small apricot kernel that has not broken the shell. 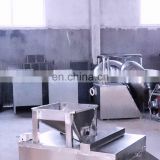 After screening, the gap of the shell breaker is adjusted and the shell is broken once. 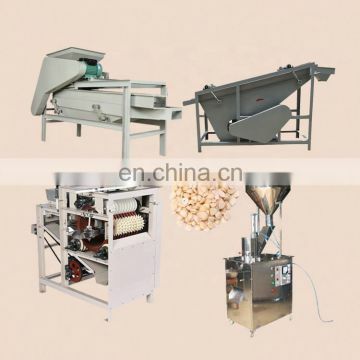 Our factory also provides a three-stage apricot core shredder, which can be divided into three grades by shelling. 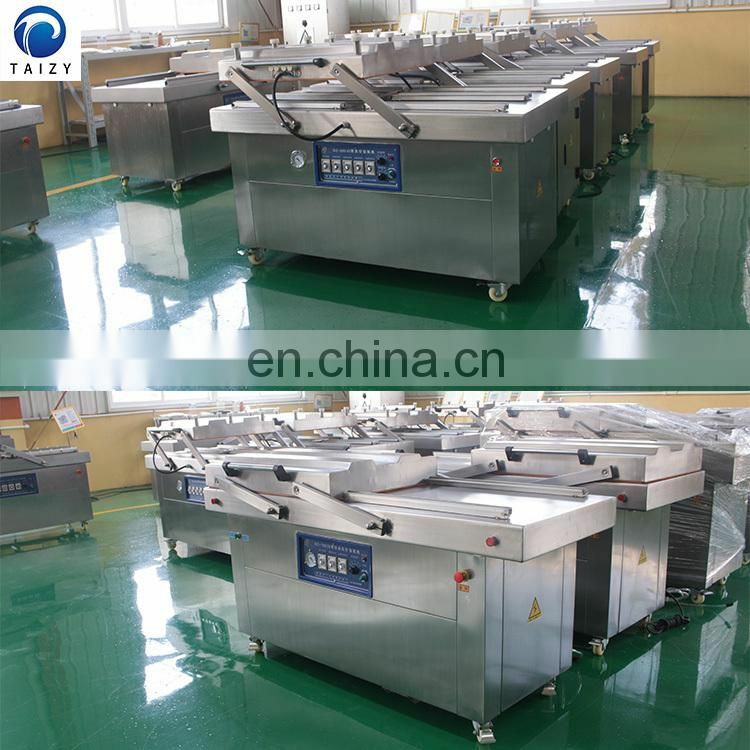 It is easy to operate and easy to assemble. 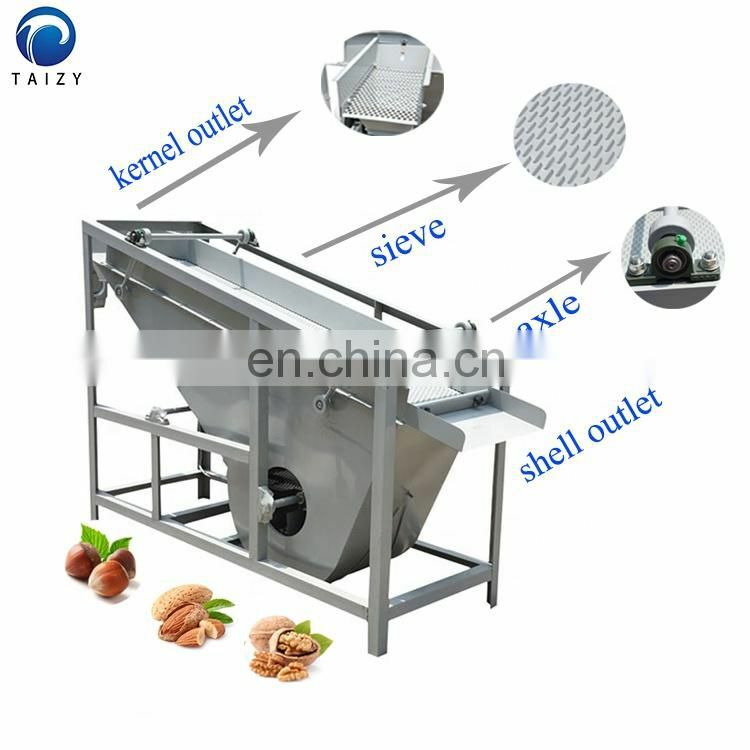 The almonds shell kernel separator is mainly used for the separation of shell kernels after almond shelling, and can also be used for separation of shell kernels after shelling such as walnuts and hazelnuts. 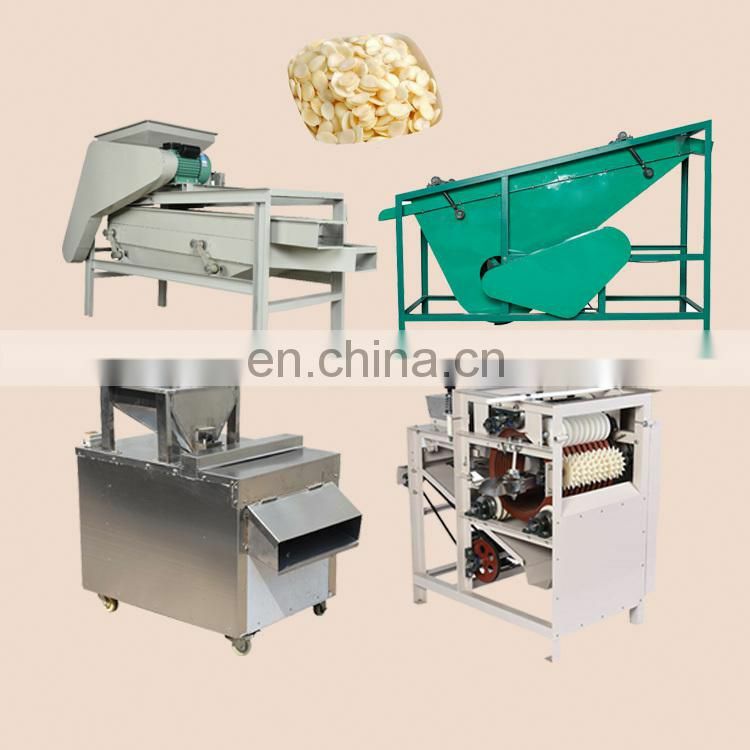 It utilizes the difference in specific gravity and suspension velocity between the shell and the kernel, and promotes separation between the shells by means of a gas flow that passes upward through the gap of the particles. 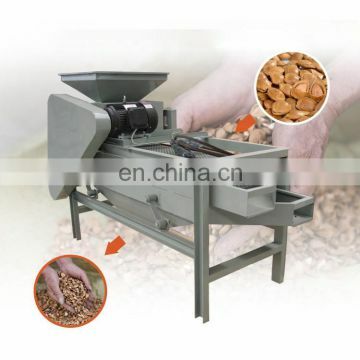 Peanut wet peeling machine is mainly used for peanuts, almonds, broad beans, soybeans and so on. 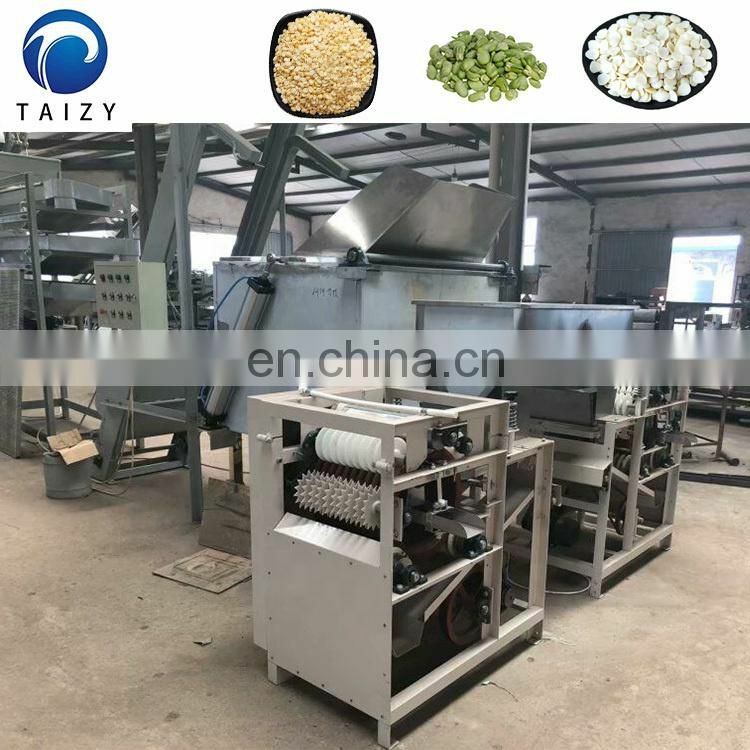 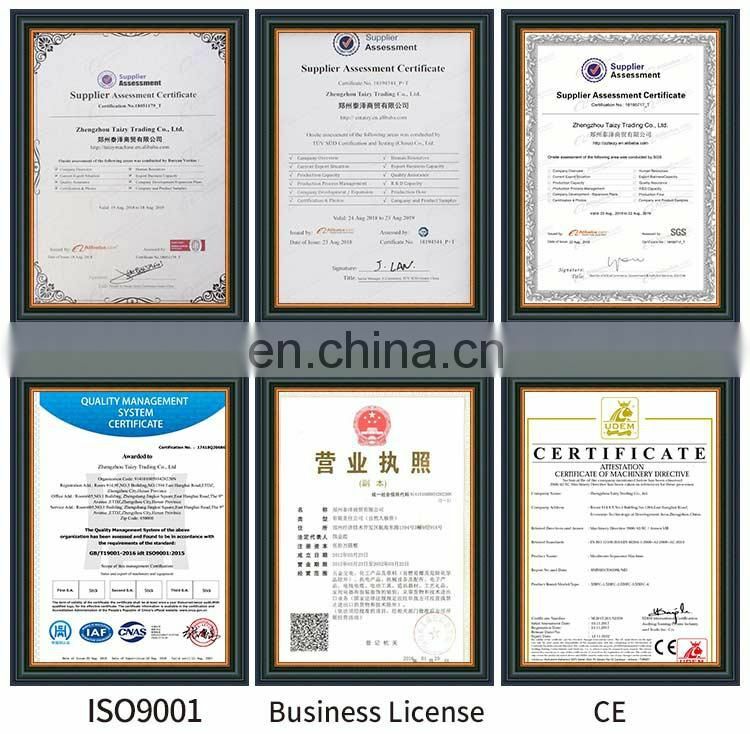 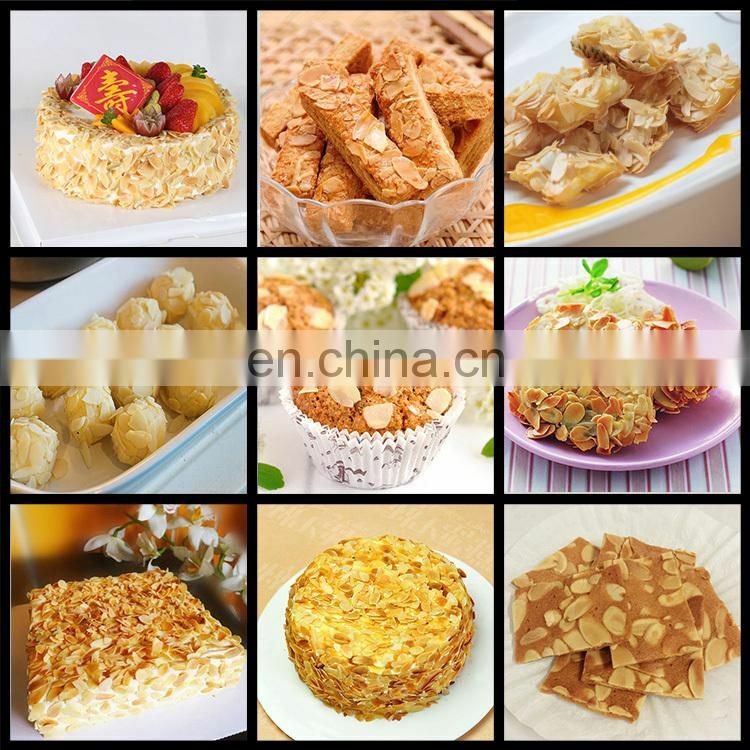 It is mainly used for peeling before the production of fried peanuts, peanut milk, peanut protein powder, almond milk, flavored peanuts, peanut cakes and peanut candy. 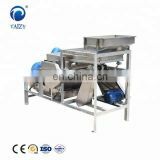 At the same time, it can also be used as a pre-oil peeling treatment for peanut oil production. 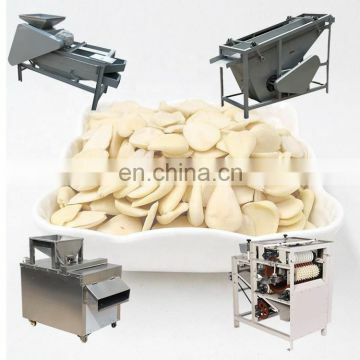 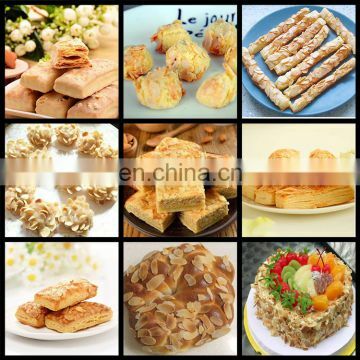 The peeling rate of the machine is high, the peanuts after peeling are not broken, the color is white, the surface is not brown, and the protein is invariant. 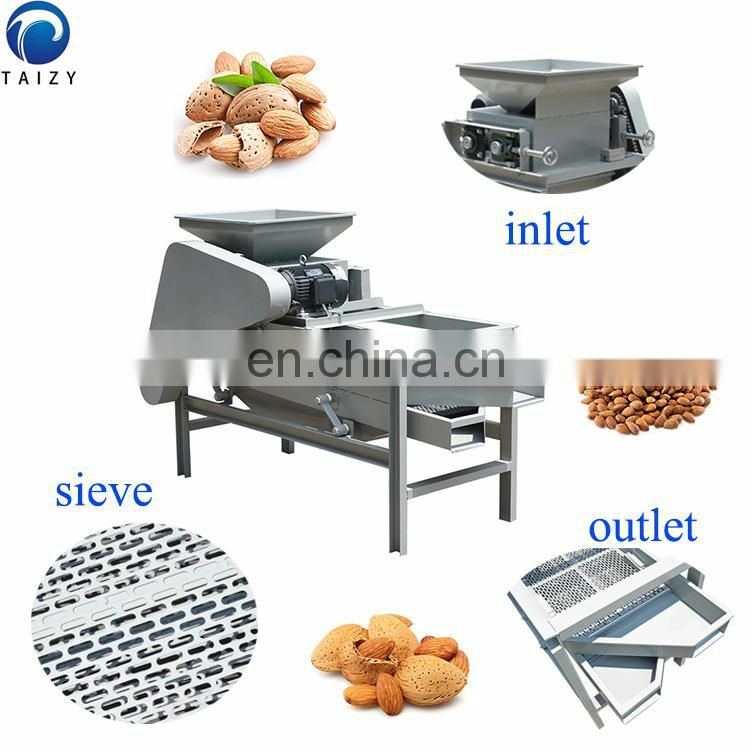 At the same time of peeling, the skin and nuts are separated automatically, with high efficiency and easy operation. 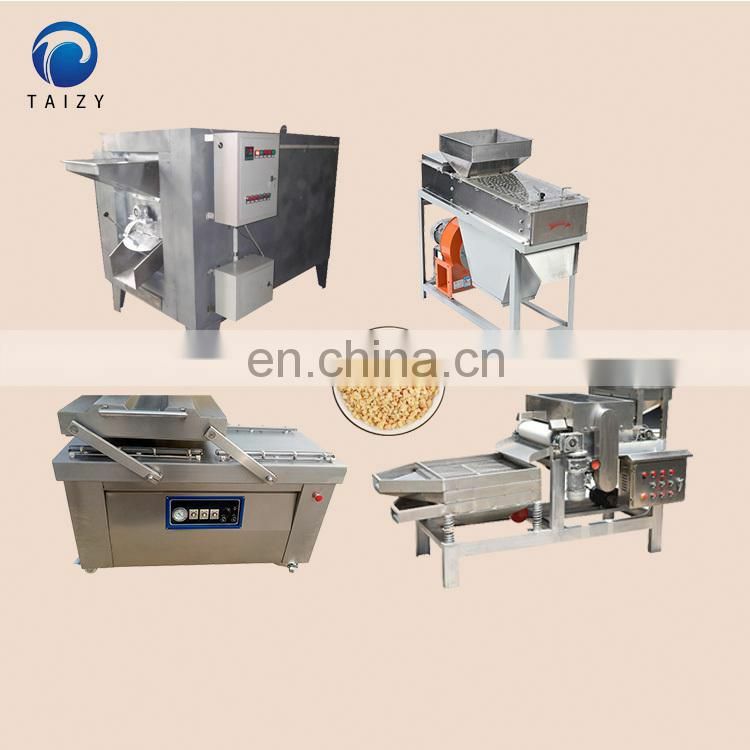 The nut slicer is mainly used for peanut kernels, almonds, cashew nuts, walnuts and so on. 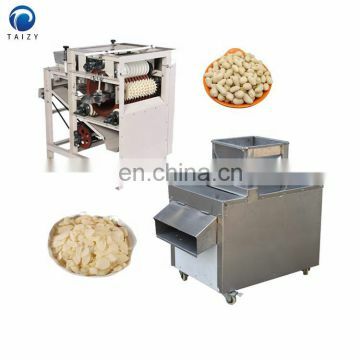 This machine is equipped with a pneumatic feeding device and a slicing device. 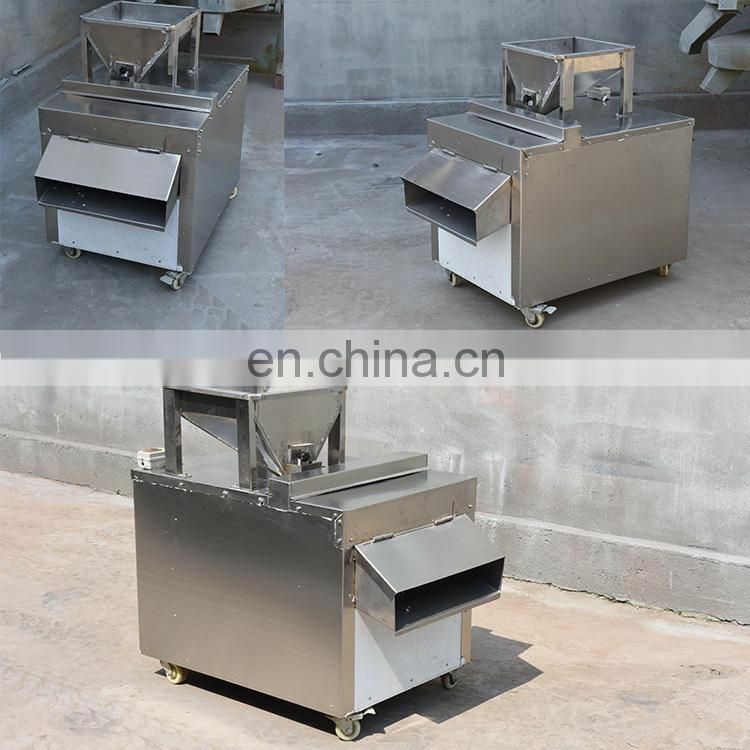 The nuts are placed in the trough, and the nut is pressed into the cutter head by a pneumatic device, and the slice of the nut is cut out, and the slice thickness can be adjusted.The blade is made of high-quality high-speed steel, with sharp edges and long service life.